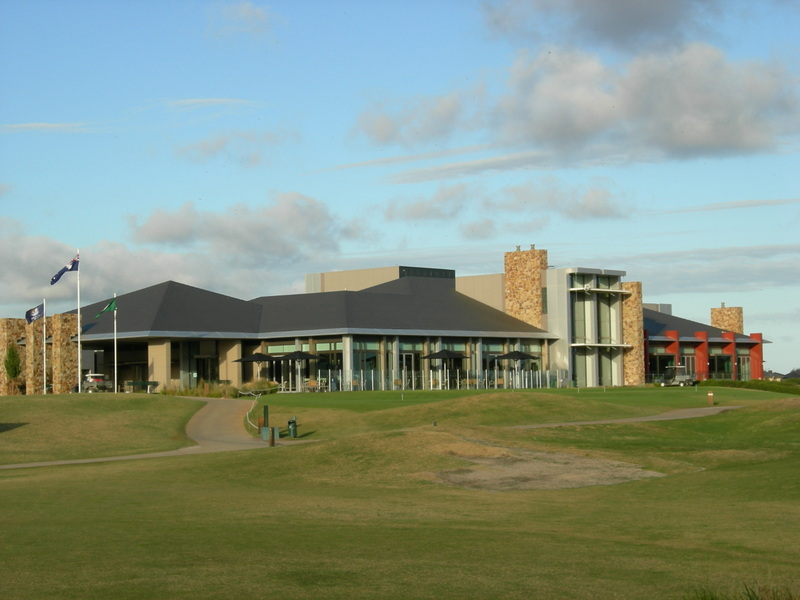 The new home of the Australian PGA, Sandhurst Club is a short 30-minute drive from Melbourne’s CBD. With two championship golf courses — the well-established North Course and the realtively new Champions Course – as well as a world-class clubhouse and health club (complete with a pool, aerobics room, gymnasium and tennis courts), the facility is destined to become one of Melbourne’s premiere private clubs, as well a popular corporate golf day venue. This month, we paid a visit to Sandhurst to sample everything the facility had on offer. This is a Thompson & Perrett design so I wasn’t surprised to see some heavy bunkering. 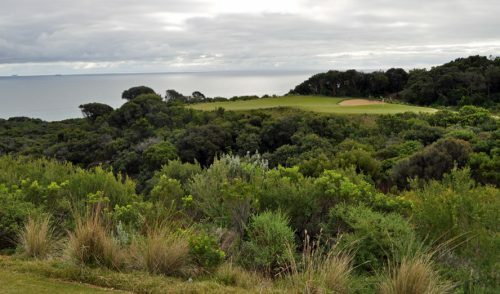 It’s called the Champions course but don’t make the mistake of thinking it’s a Championship monster a la Thompson’s work at Moonah Links. 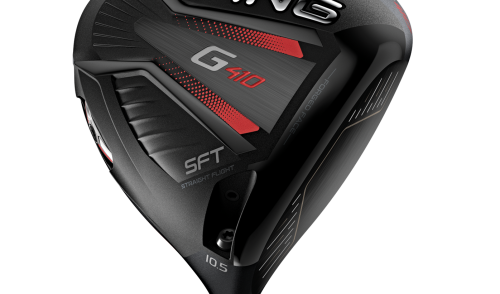 It’s not overly long off the middle tees but you consistently face the challenge of deciding between threading a driver through left and right strategic fairway bunkering, or hitting your lay up club short and facing a longer approach. ‘Noice’, as Kath and Kim would say. I love this in a golf course – strategic decisions rather than just grip it and rip it. Off the back tees or in heavy weather it would be a much sterner test. Many fairways are bunkered on only one side – but that’s the side you want to favour coming into the green. Noice one Pete. Very subtle. I’d describe the greens as heavily contoured rather than being the final resting place for elephants, and I kept noticing clever run offs from sections of the greens where a slightly misplayed approach could feed down off the green and trickle some distance off (I noticed these because I kept hitting the ball there!) The course is softly undulating with gorgeous old gums, with the holes gently snaking between them – giving the entire course a well-established feel. There are quite a number of water hazards but they don’t often come into play unless you’re wickedly off course. You’ll take for granted the quality of the fairways, true greens and all round good conditions and focus on the strategic decisions you’re constantly being asked to make by the course. That’s really the story of this course, surprisingly good and very subtle. Playing once just whets the appetite to tackle it again. Having previously experienced the facilities at Sandhurst’s North course during a company conference about 6 months ago, I knew we were in for a treat playing the Champions Course. 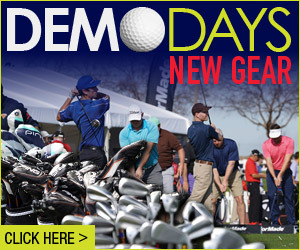 Right from the get go you can tell the quality of this “Home of the PGA” facility. From the state-of-the-art clubhouse and change rooms to the manicured practice greens and well featured driving and chipping range, you can feel the newness and quality all around you at Sandhurst….and all this before we even got to the first tee. 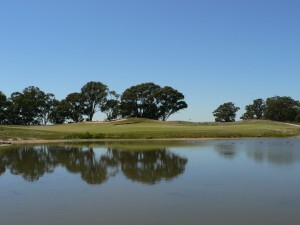 Being a dyed-in-the-wool Bushranger Golfer, I was more than impressed by the way the Sandhurst Champions course was built into the natural landscape of the Southern Melbourne Sandbelt suburb of Skye, it reminded me of the equally impressive and bush-like Growling Frog Golf Course just North of Melbourne. Beautiful gum trees abound (some of them were the largest I have seen in some time) and they provide welcome shade on a hot day. The fairways were undulating and very well manicured. There was no shortage of bunkers, and most were right in the line of fire off the tee, forcing you to consider well your first shot on each hole, though fortunately for me they were less abundant around the greens. Most notably, playing the greens was like putting on frozen glass – the ball rolled absolutely true (unfortunately for me, most of the time that was right past the hole). My favourite hole was the 10th. Off the tee, the fairway is wide and picturesque, however it narrows rather severely with serious magoomba both right and left, and the green is well raised with almost a wall of turf in front of it. Go too long and you’ll do well to find your ball, fall short on your approach and you’ll hit the face of the green and roll well back down the hill. 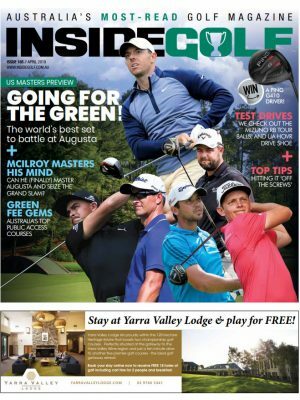 With lovely touches like each hole being named after one of Australia’s 18 greatest golfers (see sidebar), great facilities, great food, and of course the very impressive North course in the mix, Sandhurst Club offers a total golfing and leisure experience. Driving into the Sandhurst facility you immediately get the sense that this is a class act. 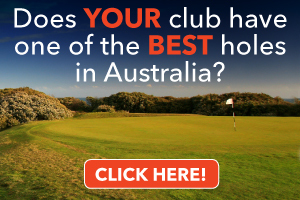 The facilities in terms of lounges, bars, pro shops etc are the equal of, if not better than, the well-known Peninsula courses, but without the additional hour’s return trip from Melbourne. You are immediately struck by the great condition in which the Champions course is presented. It has a links vibe which is interspersed with a semi-mature residential development and remnants of the pre-existing landscape via very old river gums. The fairways are fantastic and the greens are slick and true. I welcomed the relatively forgiving rough (yep, I’ve still got issues off the tee) where you generally had an unencumbered shot to your target. Without a doubt my favourite section of the course was holes 6,7,8 and 9, with the 6th — a par-3 featuring a very picturesque dam in play and a green surrounded by large gum trees — being the standout for me. 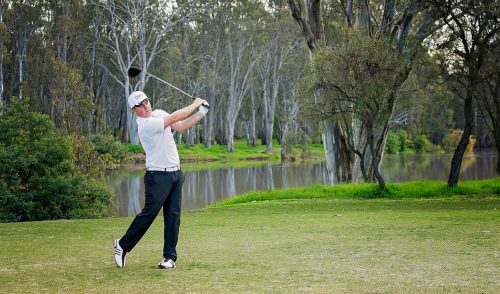 Holes 7, 8 and 9 are no less picturesque or challenging, again with large mature gum trees shaping and framing the holes beautifully. While it is not yet the most picturesque course today (if you want that, then drive the extra 1 hour round trip to the Peninsula), I would like to see this course in a couple of years when the surrounding residential developments have had the opportunity to become a more established part of the surrounds. As a total package, I can see why this is the new home of the PGA. One of the more innovative touches for the Champions Course is Thompson & Perrett’s hole-by-hole dedication to past champions of the Professional Golfers’ Association of Australia. Each tee box on the sandbelt-styled course features a plaque with a likeness of the featured champion, their history/accomplishments in Australian golf, and highlights of their relevant skills and attributes. Some of the most notable players include former champions Norman von Nida, Kel Nagle and Bill Dunk, while modern greats such as Greg Norman, Ian Baker-Finch, Wayne Grady and Craig Parry also made the cut. Reading these dedications is like a walk down memory lane, while it also invokes thoughts and ponderings as to how these great players would have approached each of these challenging holes. From Melbourne, take the Monash Fwy east towards Cranbourne. Take the South Gippsland Fwy to Western Port Hwy, then Right on Thompsons Rd.